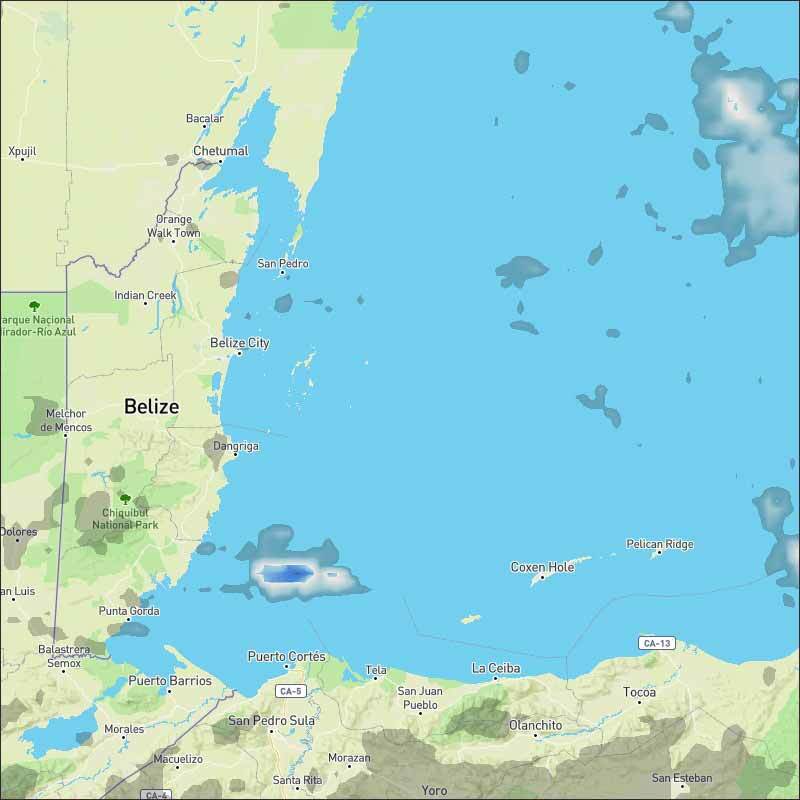 Belize NMS: Mainly fair weather to prevail this morning, followed by a slight increase in rainfall activity later today and tomorrow. 24-hour forecast: Mostly sunny this morning with isolated showers; becoming cloudy at times this afternoon and tonight where a few showers or isolated thundertorms will occur mostly over northern and inland areas, and then over the sea late tonight. General Outlook: For Wednesday and Wednesday night is for some cloudy spells along with a few showers, periods of rain and possible isolated thunderstorms. Winds are expected to become gusty on Wednesday night as a cold front crosses the country. Today E 5-10 kts Light Chop-Choppy 2-4 ft GENERALLY ISOLATED SHOWERS. Tonight E-NE 5-10 kts Light Chop 1-3 ft FEW LATE SHOWERS OR ISOLATED THUNDERSTORM(S). WINDS BECOMING N-NW LATE. Tomorrow N-NW 5-15 kts Light Chop 1-3 ft A FEW SHOWERS OR ISOLATED THUNDERSTORMS. Outlook W-NW 15-25 kts Choppy-Rough 3-7 ft WEDNESDAY NIGHT:- A FEW SHOWERS OR PERIODS OF RAIN AND POSSIBLE ISOLATED THUNDERSTORMS. There is a surface trough over the Leeward Islands. An upper-level low is located over the Virgin Islands near 18N63W. This upper-level low could also be helping to enhance showers and thunderstorms in the area. In the far southwest Caribbean, scattered moderate to isolated strong convection is noted south of 11N between 76W-82W, to include portions of Panama, due to the East Pacific monsoon trough. High pressure north of the area is supporting fresh trade winds over most of the region. A trough over the Leeward Islands will move through Puerto Rico through late today, and to the north of Hispaniola through Wed. E swell will cover the tropical north Atlantic through mid week. Strong northerly winds and building seas will follow a cold front entering the Yucatan Channel late Wed. Fresh northerly winds and seas to 8 ft will spread across the northwest Caribbean into Fri behind the front, then diminish Fri into Sat the front stalls and weakens from eastern Cuba to eastern Honduras. 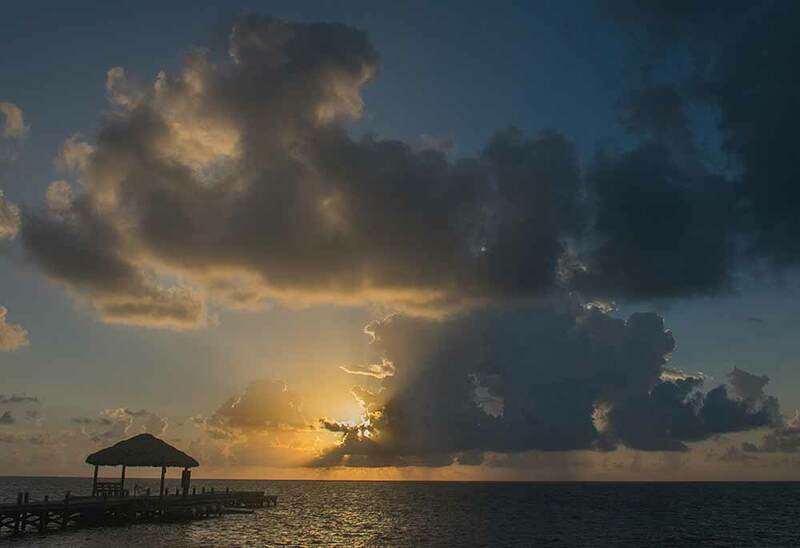 On Ambergris Caye this morning we have a breeze from the East and a calm sea around our barrier reef. The expected high temperature for today is in the upper 80's. 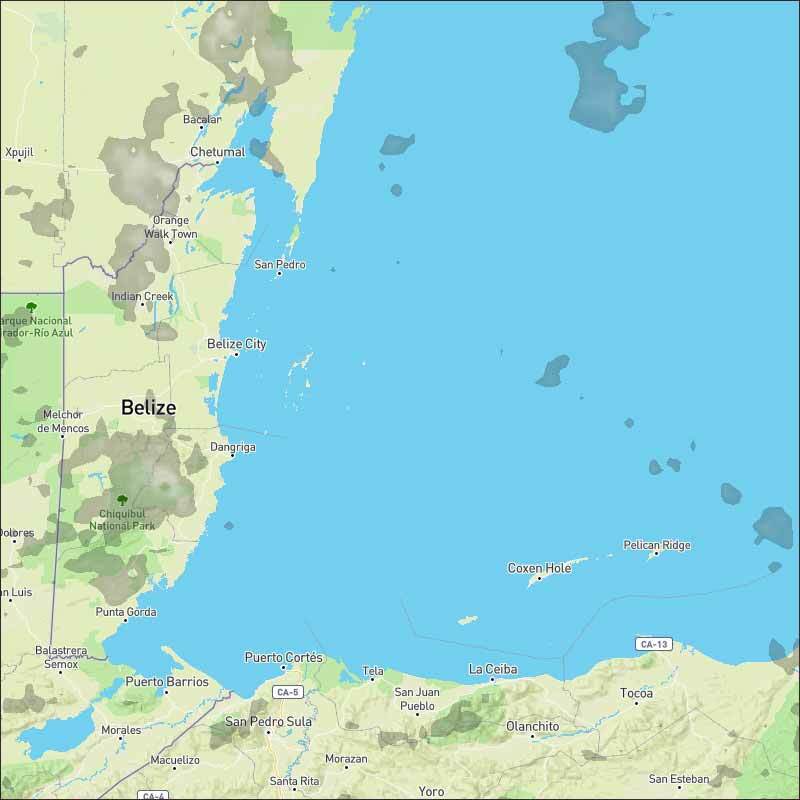 A fair amount of fog in much of Central Belize and some other parts, including Mexico and Guatamala. Clumpy Caribbean easterly clouds are already starting to come in over land, but there are patches of sunshine. Otherwise things are generally quiet, only a small hint of high level cloud from the NW There is a significant SE surface "Tiger" wind this morning. Looks like today will be mainly sunny, but with white clouds developing this morning, small chance of isolated rain showers.